The 78 Storey Treehouse by Andy Griffiths, illustrated by Terry Denton. Review by Lily. In this book the boys (Andy and Terry) are making a movie. Bur Mr Big Shot kicks them out of the movie and gets a monkey called Mel Gibbon to act instead. Andy decides to write and autobiography but it doesn’t have anything about Terry in it because he has a new best friend. Andy gives up writing the book because it is too hard. There are also cows spying on their movie to steal some of their ideas. And in their treehouse there is an area called Andy land which has lots of awesome Andy’s in it (not like the real Andy). Rated: 5/5 Reallys "It’s very funny but also a little bit easy and hard at the same time to read. I think it’s very funny!" The Smallest Horse in the World by Jeremy Strong, Review by Esme. Bella is at home when a picture falls off the wall and out jumps a horse. There is a mean girl at school named Swan who says she has a pony, but Bella does not believe her. They each say they will bring their pony and horse to school to prove it. Swan does not bring a pony to school, but Bella brings her small horse. It poos on the floor of their classroom! At the end Bella re-unite the horse with the knight in the picture and Bella and Swan become best friends. Rated: 5/5 Reallys "I think it’s good book and funny." Matilda by Roald Dahl, Review by Daisy. Matilda is a girl who is very smart and likes reading but her parents and big brother want her to watch television and not read. When her mum and dad go to work she sneaks to the library by herself so she can borrow books. Her teacher Miss Honey thinks she is very smart but the Headmistress Miss Trunchbull is very mean to Matilda. Rated: 2000/5 Reallys "I’ve read the book hundreds of times (because I like it)!" George’s Marvellous Medicine by Roald Dahl, illustrated by Quentin Blake. Review by Phoebe. I’ve read this book 20 times already! George makes a medicine for his grandma who is a very mean person. She usually just sits in her chair and bosses him around. He makes it out of animal medicine, shampoo, toothpaste and brown paint. When he gives it to she is able to get out of her chair and then she becomes tall and thin and starts growing. At first she reaches the ceiling than crashes through it and then through the second floor until her head sticks out of the roof. In the end she suddenly shrinks and becomes smaller and smaller until there is nothing there. 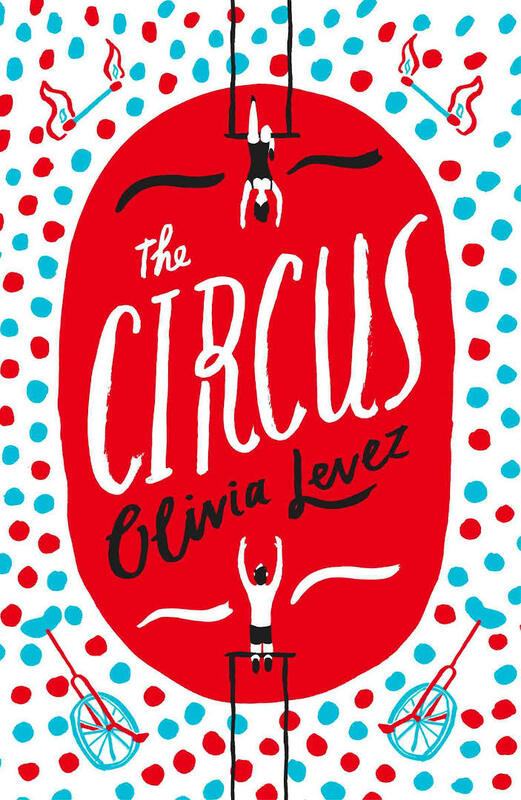 Rated: 10/5 Reallys "Very funny"
The Circus by Olivia Levez, Review by Emma. This book is about a girl named Willow who runs away from home to join the circus. She wants to join because her mum used to be in the circus but then her mum left the family. Her dad is a multi-millionaire and has a new young family and doesn’t feel wanted by him. Willow learns to walk the tightrope and juggle at the same time by a homeless girl who has also joined the circus. Rated: 4/5 Reallys "The only reason I didn’t give it 5 is because it is a little predictable; in that she is from a wealthy family but doesn’t get the love from her dad and then runs away to join the circus. But it is exciting." The Invention of Hugo Cabret by Brian Selznick, Review by Georgia. This is a massive book with lots of pictures and writing. Hugo lives in a clocktower runs the clocks. Nearby is a toyshop run by an old man, Hugo steals clock parts from the toyshop because he is trying to build an automaton (a bit like a robot). When he gets caught stealing by the old man he is made to work in the shop. The old man’s daughter helps him build the automaton and to get the parts he needs as well. Rated: 5/5 Reallys "This book is very creative and hooks you in by having lots of cliffhangers." 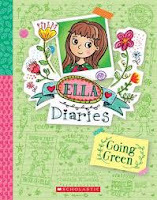 At Ella’s school the principal says there is going to be a special surprise. The school is going to be a Planet Protector and they need a captain for this program. Ella’s friend thinks she will be the one to be captain. A girl named Peach who is very mean also thinks she will be a Planet Protector Captain. Peach gives out balloons, chocolates and posters to get kids in the school to vote for her. Ella also puts up poster but Peach takes then down and throws them in the bin. Peach wins and is captain and Ella is her assistant. When they plant flowers Peach stomps on Ella’s ones and is caught. Peach has to step down and Ella becomes captain. Rated: 3/5 Reallys "This book is okay." EJ is a spy agent but is scared of the dark. She is sent on a night mission and has to go through a maze that has little creatures in it. They turn out to be possums that have camera’s on them because they are spies too. Rated: 5/5 Reallys "I’ve read it a thousand times." Polly is terrible and doing spells even though she is a witch. When she reads potions she always gets it wrong. The teacher gives her a toad with lots of warts on it and tells her she has to make a spell to get rid of the warts. The spell goes wrong and Polly ends up giving herself warts. Witches and monsters aren’t allowed to be friends but Polly has a monster friend named Buster. Whenever she sits in a tree and gives a secret call Buster comes to her. Rated:100/5 Reallys "It’s a really good book!"